We aren’t only available for building maintenance. Our team of qualified and highly skilled builders are also available for building work in Dalkeith and Edinburgh area. Some of the building work we have undertaken is: foundations, extensions, conservatories, conversions, erecting walls and much more. We are experts at converting basements, attics, garages, stables. You can rest assured that any building work carried out will be within building regulations. We can advise you on any planning permissions and building permits that might need to be acquired before carrying out any building work. Our team of skilled and experienced builders have all the equipment and tools available to hand to make sure a quality job is done within a sensible timeframe. 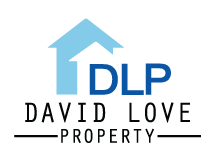 If you are based in Dalkeith, Edinburgh, Midlothian, why not give David Love Property a call for a friendly no obligation quote, and see how we can help you with your building work / project. We supply electricians, plumbers, bricklayers, joiners, tilers, builder and painter decorators so you don’t have the hassle of organising all the trades.